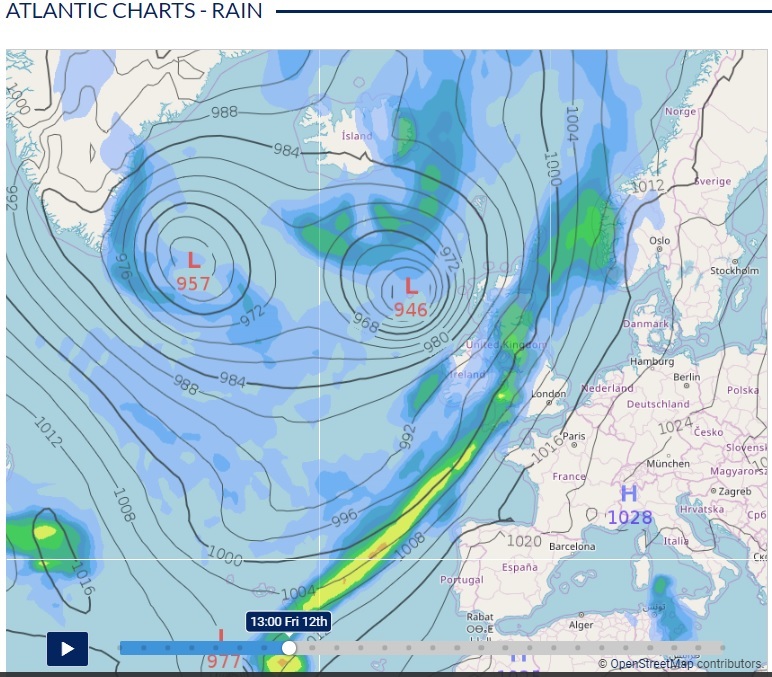 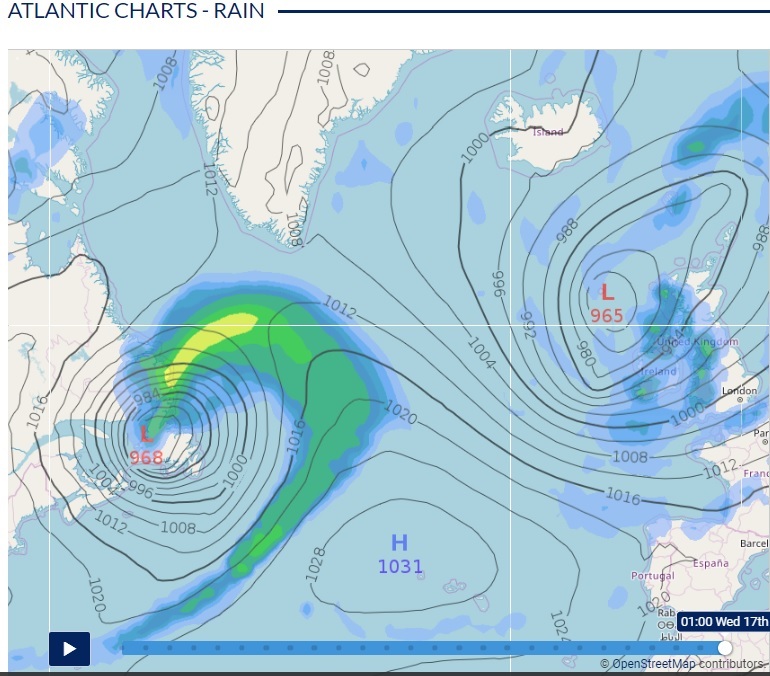 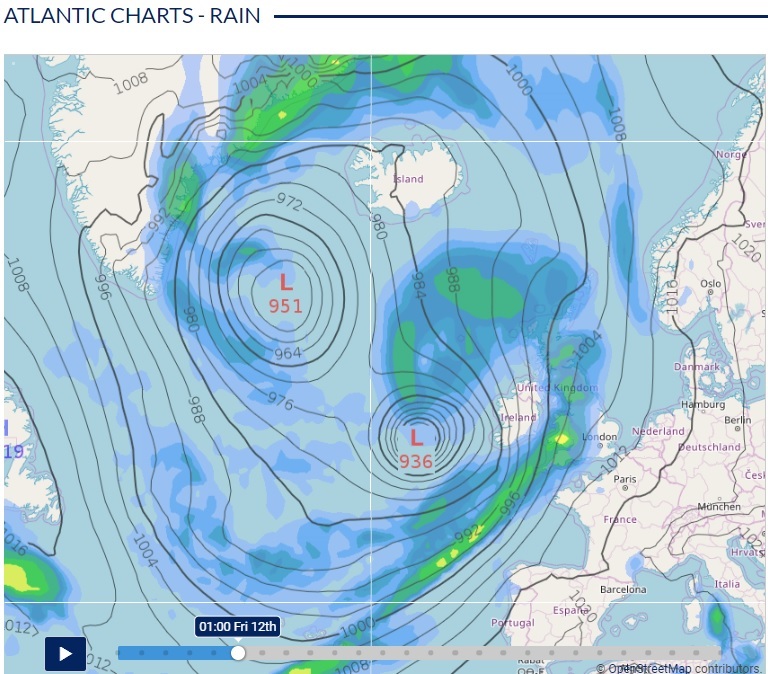 Two big storms in the Atlantic according to Met Éireann charts. 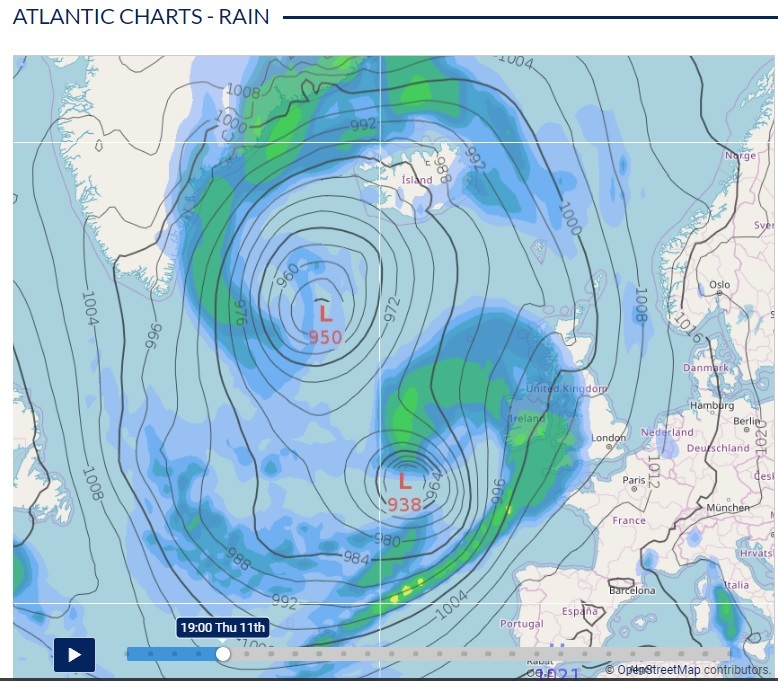 Met Éireann charts show that Storm Callum could be the start of a week of sustained stormy wet and windy weather. 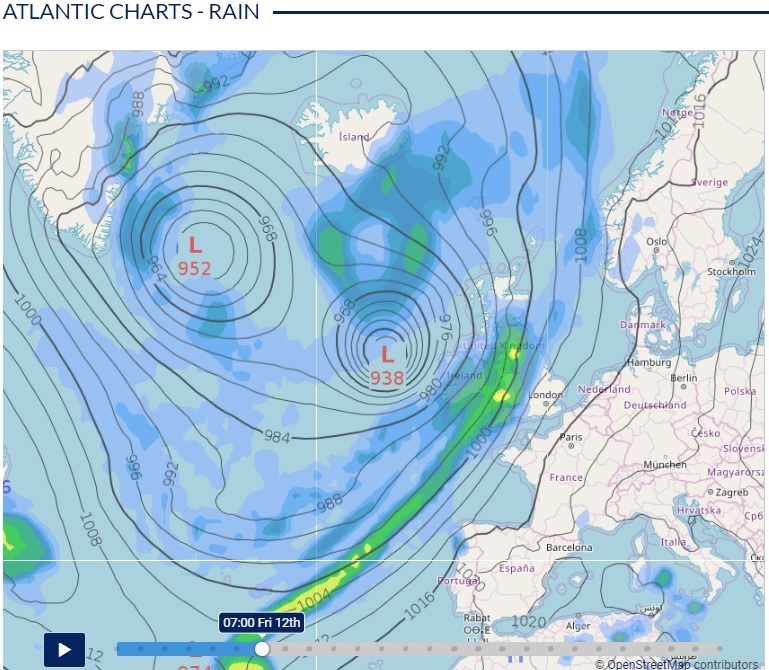 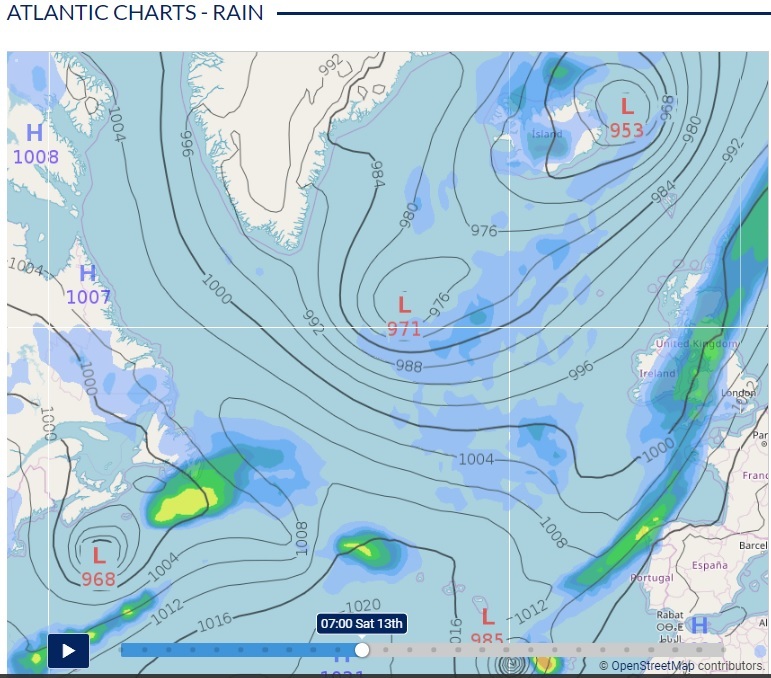 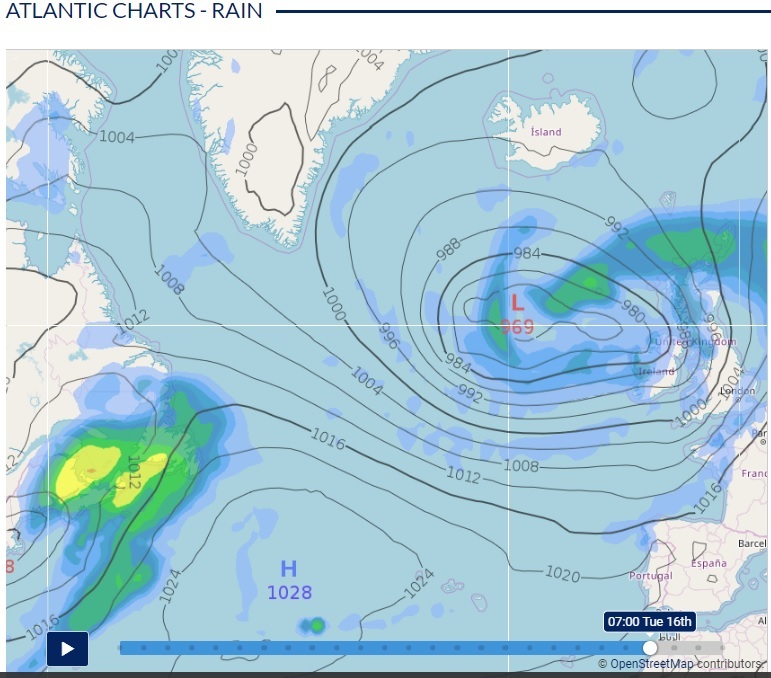 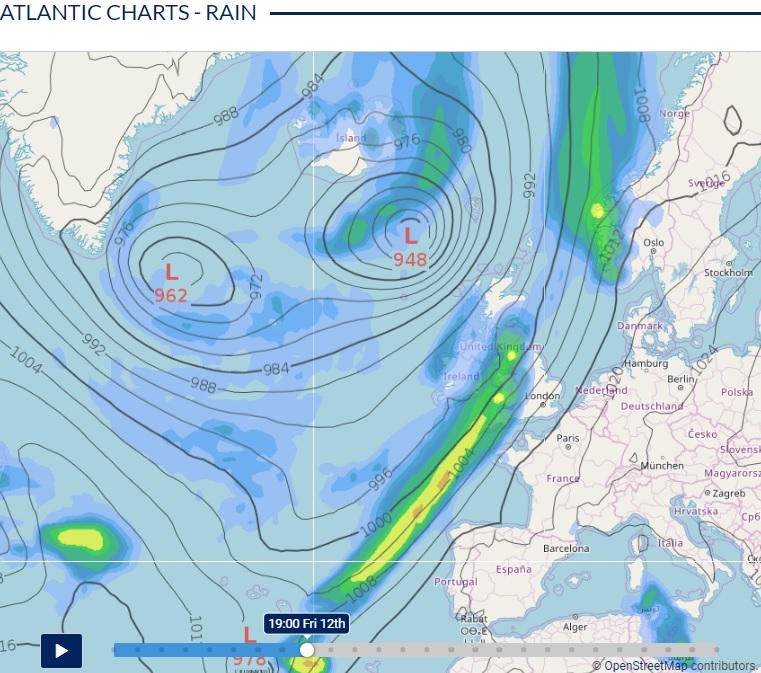 The charts reveal a deep low-pressure system over Ireland on Tuesday and Wednesday next with another intense storm front appearing to follow on across the Atlantic from North America.